How Far, How Fast, How Long, How Miserable? Not everyone who uses indoor exercise equipment pays much attention to the measuring devices that accompany them. But to me, one of the biggest consolation prizes of being stuck working out on indoor exercise equipment is that the digital feedback means I can challenge and compete with myself in all kinds of weird ways! While some folks do well dutifully following careful-crafted exercise regimen, I tend to be wildly improvisational, and may not know on a given gym day what sort of Self-Competitions I will be engaging in. 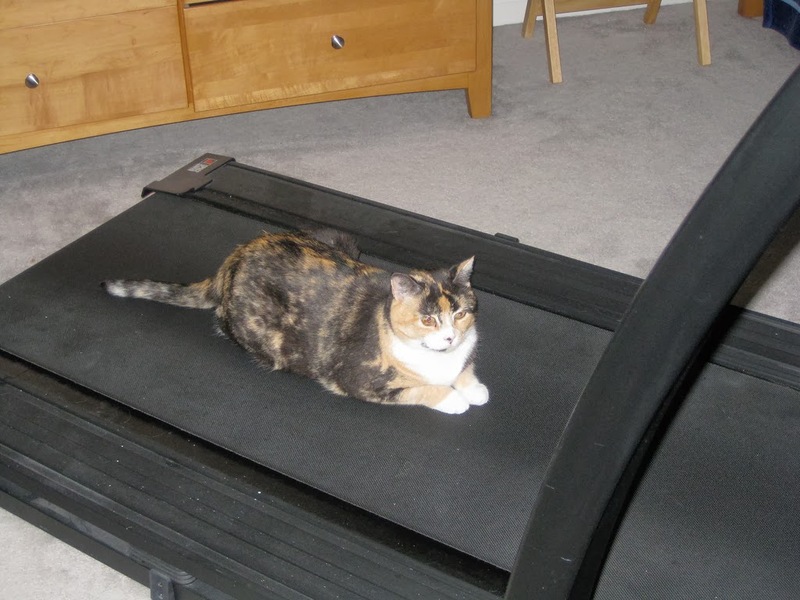 Can I keep up a pace of X miles an hour on the treadmill for 1 minute longer than last time? How fast can I sprint for 30 seconds without flying off the back of the treadmill? How fast can I run sideways or backwards with a 15% incline? How high can I get the "calories per hour" readout to go on the rowing machine even though there is no way in hell I'm ever gonna be rowing for an hour? Can I add 4 extra minutes to my medium pace elliptical workout by getting through the next song? Can I make that a little longer by rounding up to X number of strides? Can I make myself do at least one totally new exercise I've never done before? How long can I keep making myself do something at the gym, even if it's easy and lame? How many strength training sets I can endure before rationalizing my way into doing more cardio instead because I hate weights? Note: these challenges are helpful, but not foolproof. Sometimes the answer to "how fast?" is "not very" and the answer to "can I...?" is "maybe, but today I just don't f--cking feel like it." 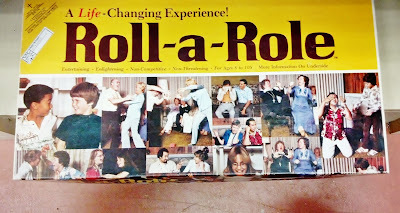 I came across this intriguing relic at a thrift store while doing some holiday shopping...which sure makes you wish you were on my Christmas list, right? But anyway, as explained above, in so many ways this is not tailored to my personal recreational choices. 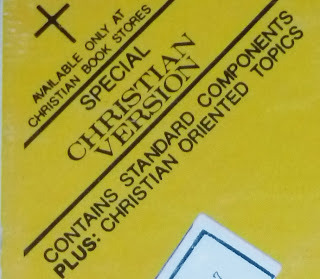 Not that I have anything against Christian Games, but I'd probably be more comfortable with the Gay Heathen edition if that were available. But it did remind me of the strange fun that can be had by imagining that one is Someone Else Entirely, or that there are Higher Stakes Involved in our activities than just the mundane mechanics of daily living. What if completing two more reps meant you won ten million dollars in some new weird reality show? What if the running interval you are doing was motivated by a space alien chasing you with a laser gun but who has kinda bad aim so you still have a chance, and if you made it fast enough to your destination you would save the world in some heroic way and besides the gratitude of all of civilization there would be unlimited cake and champagne? Wait.. There's an App for That! Well, maybe not the cake and champagne part, but there are cool sounding apps to motivate exercise using imaginary adventures though I haven't tried them personally. But you may want to check out Zombies Run and/or The Walk. And if any of you have tried them, or know of any others, clue me in in the comments! I might even be tempted to check 'em out if they do not require much in the way of interacting with other players. You know how I am about that. 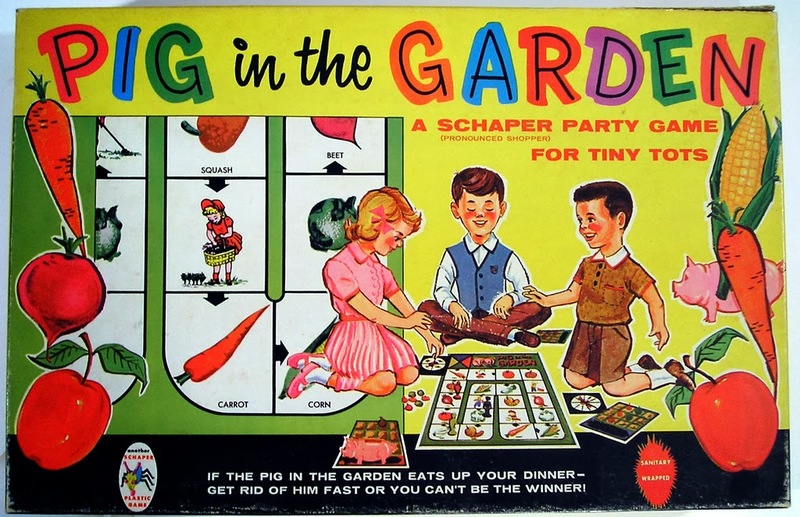 'Cause yeah, the only way I'd play even this cute game is if I got to be the pig that eats up everyone else's dinner. Anyone else play mental games to stay motivated? Do you play well with others? The answer to the first question is NO, HELL NO! Did you say cake? I will do almost anything for cake except, well, see above. Unfortunately, as you may know (sigh...) I do the same thing every day, keep planning to add new components and don't. I pretty much subscribe to the "can I...?" "maybe, but today I just don't f--cking feel like it." manner of challenging myself. Will have to work on that...."but today...." etc. That cat picture looks a lot like my cat, except my cat is even cuter, lol! I play games even if I lose every single time. I enjoy teasing people while playing. I play mind games with myself when I exercise. When I swim I will often spot a swimmer that is faster than I am and chase them and then get chased by them. I have tried the Zombie run and well I don't run to begin with so it was a hard sell to get me to run because of imaginary zombies. I may be more of a stand and fight or maybe hide kind of girl. I don't play well with others. As far as my own mind games go while exercising, well, that's about the only way I'll do it. I, too, hate to play card games or board games with the group. I would much rather curl up with a book. Yes, I'm not alone. There are others just as weird. I mean that in a good way. As far as head games, well right now I'm playing "how long can I ka-noodle around on the Internet before I get on with my day?" I'm still on winter break, yeah! 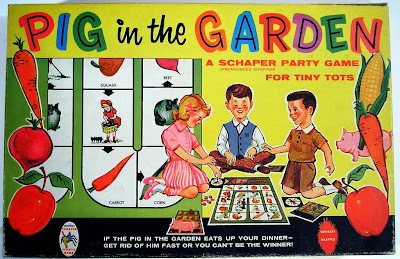 I like the picture on the Pig in the Garden box. cute, funny. I do play well with others, but I also prefer my alone time. I love board games, and other type games in a big group as long as nobody takes themselves too seriously and realize it's just a freaking game. When it comes to working out, I prefer to workout at home, alone. I used to love my kickboxing/boxing gym because of the classes but I hate the gym where people are just droning away on machines. I hate that part of a gym. Wow. Almost every posting reminds me why I keep coming here, but few are as close to home as this one. I skulk in the background hoping I can do the dishes or something to avoid those darned games! I tell people I am not competitive. Until, if I am being totally honest, I am playing against myself. Then, oh, yeah, then I am testing, measuring, pushing. Games? Of course I have my own weird ones. I am (when no one is looking) a tap dancer, and you can have all sorts of fun with rhythms. Pace on the treadmill steady, music all sorts of different speeds, try to be conscious of both without falling over my feet...then using the beautiful scenery to count off intervals - that rock, then that branch/flower/curve in the road (uh, sort of a philistine-ish attitude, but that's what happens when I am dreaming of catching another full breath soon), making up stories about the others I see out there. I have to say I wonder if anyone can actually pay strict attention to all those effort factors I keep reading about. Not me. I need those little (one participant only) games. Wait, we've got THREE tapdancing Cranketeers, DRG, Bdaiss, and BobBen? I think "Cranky Fitness, The Musical" may happen yet! OK, I'm loving these comments, you guys totally crack me up! So I just got back from the gym, which I was so NOT in the mood for, and played, among others, "visit 3 sadly unpopular cardio machines and stay on each for at least five minutes." Rower, old-school escalator type stair climber (torture)...check! Recumbent bike... eh, couldn't make myself do it and got back on the elliptical. I LOVE the escalator-type stair climber because I can read on it. Reading on a treadmill makes me sea sick. Ack, that thing is HARD Lyn! Much admiration. 3 minutes was enough for me! HaHa - I have been loving your Monday posts lately and today is no different!!! I do all kinds of mental games with myself every single time I run - it makes it fun. I used to think that each run had to be further or faster but that became impossible (and I kept getting injured) so I've changed it and do other things - fun stuff!! Board games - I actually love them and try to convince my boys that they do, too!!! I definitely play mind games with myself, for everything from exercise to housework. It helps! And I need all the help I can give myself, lol. I enjoy some board games...I like ones where you have to do some thinking, not just move around. Clue is a big favourite! I also like to play cards and don't do it often enough. Need to change that in 2014. Chess is also a favourite...must get a board. During vacation last year there was a bit of chess and my all time favourite thing to play. Ping pong!!! My highlight of 2013 was playing ping pong...part of it may have been the thrill of using the table at a resort we were not staying at. Resort Crashers!!! LOL! The mental game I have going on now is regarding physical limitations. I no longer belong to the gym and even yoga is hard right now, but I still go. I am looking forward to hiking season to come again...especially since the outdoors are an ice rink right now. You know what I've realized in my thirties? It's that I don't enjoy games very much. Be it team sports, board games or any other of that kind of entertainment, they're simply not my thing. I like to be learning, or training, or exchanging ideas. Playing, not so much. Even with my kids: I'd rather read with them, run with them, take them to a museum. Playing... blah. Do I play mind games to stay motivated? Yep, always trying to get a little more weight on the bar, or one more rep, or more minutes/speed/resistance on the elliptical, etc. I don't race with anybody but me, but I do race. Just started another 6-week challenge, goals for which are dialing in the food intake, be more active on rest days, work on my cardio health/endurance, and get up earlier every day. The challenge framework is kind of game-like, now that I think about it, and that helps me get a plan together. Even reading the rules for games gives me headaches. Really! Oh - I'll play just to be NOT considered anti-social - but, really... please don't make me/ask me. First off - it involves winning, losing, right, wrong and all those other things that, well - why do we bring them into scenarios where we are otherwise just having a fine time? I don't want to feel less than nor do I want someone else to feel that way and games just kind of sort of bring all that up. And don't even get me started on 'strategy'. Sheesh... If the idea is to have 'fun', how is that part of the mix?! Sounds waaayyy too much like 'work' to me. Pretending, though? That's WONDERFUL :):) AND it's helpful :):) at least in my opinion. I'll totally play the Gay Heathen version any day. That's hysterical!! I'll play games if we're in a group and there may or may not be drinking involved, but if it's just me and my wife I generally will pass unless it's Trivial Pursuit. And if we only read the cards to each other. No silly boards for me, thank you. Wait, wife? So much for my gaydar, Courtney, totally missed that. Shoulda stopped by your about page. And yay! Not that many of us out there in the fitness blogging world, which is kinda weird when you think about it. Or maybe I don't get out much. And no, there definitely are NOT. 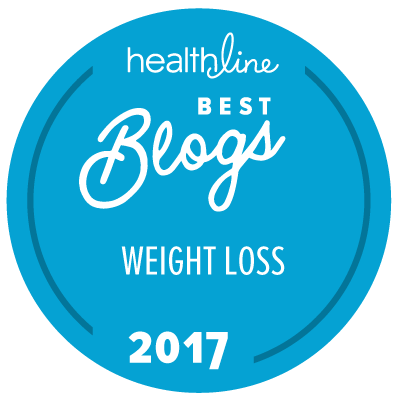 I read lots (probably way too many) of fitness blogs and it's not something you see every day. I think of myself as disliking team (or duo) sports, so your list of games surprised me by reminding me of badminton, my <3 game. I haven't played in years, because unlike tennis, there are no public badminton nets, and it's hard to find people to have a game with, so I tried tennis for a few years, but it's a poor substitute. 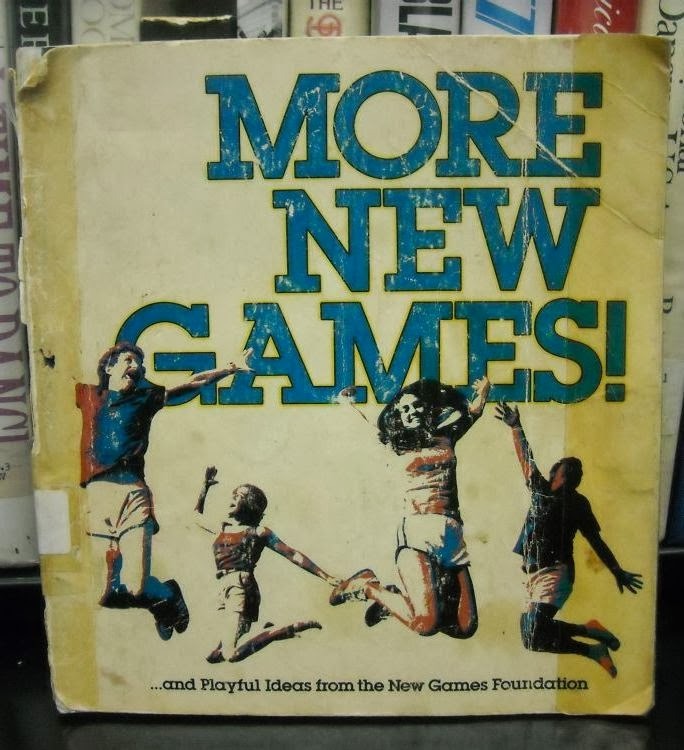 I know some of us badminton people are out there, though, because it was included in my college's required Orientation to Athletics or whatever it was called, and there were enough of us enjoying it that we talked the teacher into having a gym credit class of just badminton. We got to play badminton for an hour four days a week for a whole quarter. Hmmm mind games for increasing fitness, must give it a go.... something like being chased by a sloth as I am 30 weeks pregnant. OK, there are so many clever comments here maybe we gotta put them all together into an App and make a fortune! Chased by giant hungry sloths and zombies... with only badminton racquets and ping pong paddles to defend ourselves, we must sprint to the next safe haven where a Gay Heathen will hand out Rockette costumes which we must tap dance in, and then must either win an ice cream and cake eating contest, unless we are going overt-sugar free, and then must do a six week challenge involving competing with Kim doing 44 of something grueling...until finally we "win" and can simply kanoodle around on the internet or curl up with a good book! I often play mind games when I'm out running, probably to convince my own mind that I can run further and faster than before. You know it actually works! I love your approach to working out! I try to run outside when the weather is welcoming, but with the cold temperatures lately, I have forced myself to start going to the gym. I play the same mind games with myself, challenging myself to "win" against my last workout times or distances. I have never tried the zombie chasing apps, but I can say that my mind does wander when my motivation begins to dwindle. I have had some crazy daydreams while jogging on the treadmill or pushing myself on the elliptical. Once I imagined I was the Fifth Element. Who wouldn't want to look like Milla Jovovich? Which then lead me to imagining I was saving the planet from zombies. It's amazing to me, but imagining being chased or kicking a-- actually makes me run faster. Who knew? I have to be honest and say that the gym plays some mind games on me too, though. I used to walk in the doors and be totally lost. I didn't know what equipment to use or how to use it properly. Once I got past that hurdle, I felt like I could conquer anything. I totally could not afford a personal trainer and prefer working out on my own. I can't stand having a partner to work out with. It's my me time. I searched all over the place for something that would give me the knowledge I needed that was legitimate too. I know that there are thousands of books out there and programs, and I researched several. I am new to this blog, but wanted to suggest for anyone that is experiencing the same mind f--- I did anytime I entered the doors of the gym. It's an awesome program because I can customize it to what my goals are and I still use it to this day. My cousin, a personal trainer for Cross Fit actually directed me to this program. It is by no means anything like Cross Fit, but thought it might be useful to some of you out there. It's called the High Performance Handbook and Nutrition Guide. I just wanted to put it out there in case anyone was in the same boat as me. I am more comfortable and confident working out at home. But of course, it is still much better to have someone with me working out.